With safety being the top priority, the Sick bar has a single front line flag out. It ensures 100% collapse of the kite in all situations when the safety is triggered. The Sick Click push away quick release conforms to the French safety norm AFNOR NF S52-503. It can be easily triggered with low force in all conditions. Re-loading the Sick Click system is fast and easy, even in difficult conditions. 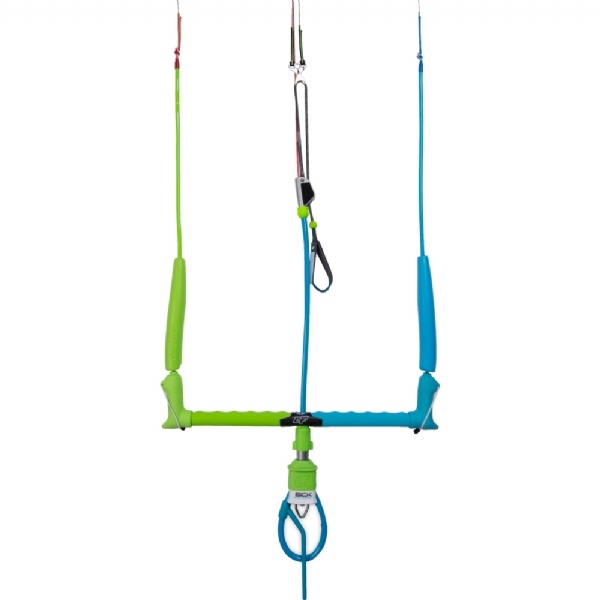 The CrazyFly Sick Bar can be used in two safety modes: standard and suicide. The standard safety mode provides 100% safety in all situations. We strongly recommend to use the standard safety mode. The suicide modes should only be used by experts, because it does not offer full depower of the kite when losing the bar. The Sick Bar features Marine SS Smart Cleat, which is strategically placed above the bar, for easy power adjustments on the go. Under the Smart Cleat, we designed a brand new DuPont® Polymer Stoperball, which also unites the PU Tube and Smart Cleat. We completely re-worked the leash connection point below the quick release and introduced the Spinnect untwist leash connector. The bar ends are shorter and stiffer while the floaters can be nicely folded for easy pack downs and safe self rescue. Sick bar exclusive, it features a brand new premium Italian Tecno Prestige Leather grip from for unmatched comfort and long lasting durability. The swivel is integrated under the bar, where it is easy and comfortable to reach for untwisting the front lines after a rotational trick or a kite loop. Making things simple and clean, we covered the safety line and the center line in a PU tube. 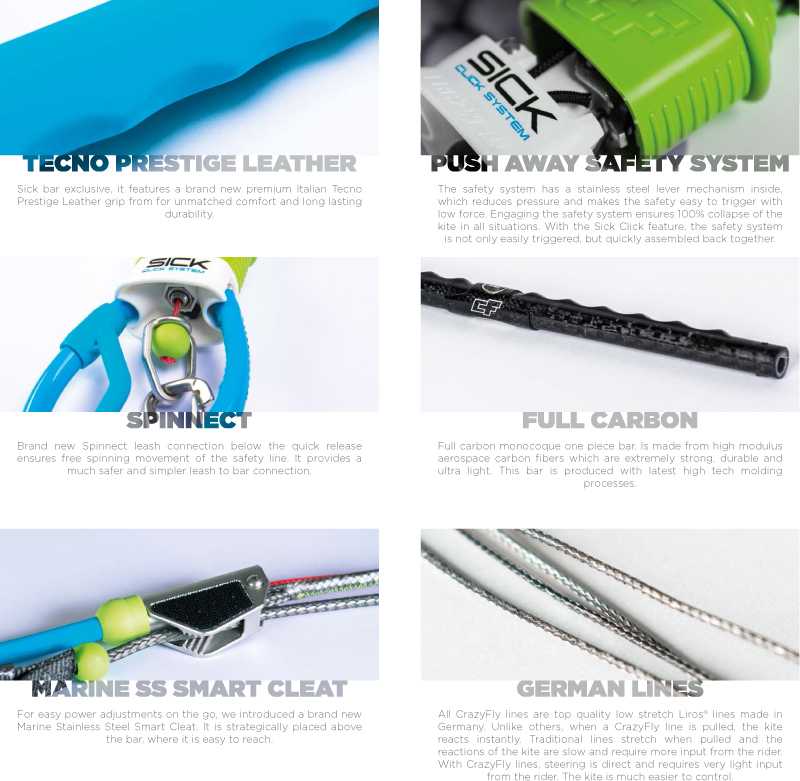 The PU tube prevents all wear and tear of the central line and allows for smooth sheeting and handling of the kite. For unmatched comfort and durability, the bar itself has a full carbon construction, making it one of the strongest and lightest bars on the market. The Sick Bar is the first and only bar made 100% in Europe in the CrazyFly factory and made only from European materials and components. LINES LENGTH: 24m 24m + 3/6m ext. Safety Certificate - The Sick bar has been certified according to the AFNOR NF S52-503 international safety norm and is one of the safest bars on the market. Smart Cleat - A brand new depower Smart Cleat, originally designed by CrazyFly, and strategically positioned above the bar. It is comfortable to reach and very easy to use, even on the go. This year, we also added a Velcro on the Smart Cleat, so there are no lines flapping around and everything is tidy in place. German Quality Low Stretch Lines - Sick bar flying lines are of highest quality and are pre – stretched with heavy load to ensure minimal elongation. Stainless Steel Insert - The polished stainless steel insert in the center of the bar allows for smooth on the bar depower control. It also prevents any wear and tear of the carbon bar and the PU Power Tube. Standard / Suicide Mode - The CrazyFly Sick Bar can be used in two safety modes: standard and suicide. The standard safety mode provides 100% safety in all situations. We strongly recommend to use the standard safety mode. The suicide modes should only be used by experts, because it does not offer full depower of the kite when losing the bar. 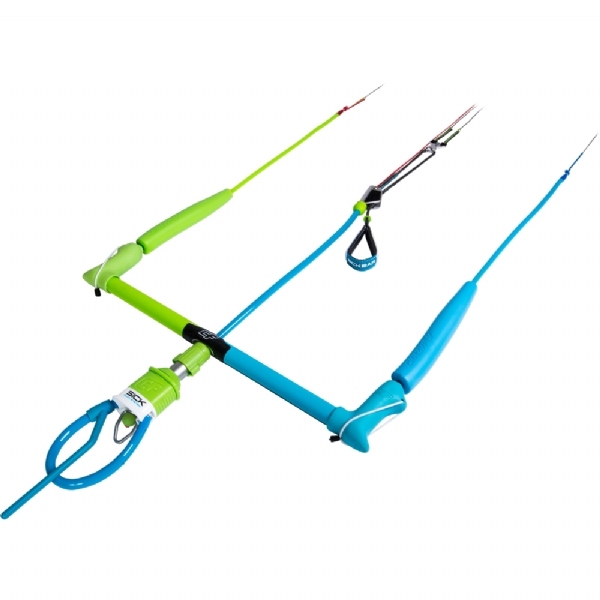 Swivel - The swivel is integrated under the bar, where it is easy and comfortable to reach for untwisting the front lines after a rotational trick or a kite loop. The front lines can be easily untwisted on the go. Single Front Line Flag Out - With safety being the top priority, the Sick bar has a single front line flag out, where the safety line is connected to one front line. It ensures 100% collapse of the kite in all situations when the safety is triggered. Moulded Ergonomic Bumpers - Our designers gave the bar an ergonomic shape for increased comfort and better grip. They also added bumpers for fingers on the top side of the bar, which are molded on the bar and will never loose shape. Low V - The low V front line connection close to the bar increases the reactivity of the kite and creates a more direct feel of the kite. It also increases the turning speed of the kite. Ultra light weight bar - The bar itself is a full carbon tube on the sides for light weight with a solid center for extra strength. The carbon bar, together with the grip and bar ends, weighs 230 grams only. Auto position chicken loop - Perfect for unhooked riding! The chicken loop always stays in the right position to quickly hook back in. DuPont performance polymers - All plastic components are made from high end engineered plastics from DuPont® with superior toughness, stiffness and high impact resistance. Premium Leather Grip - Brand new outdoor performance premium leather grip from Italy provides unmatched comfort and long lasting durability. Silly Billy Connectors - The Silly Billy connectors prevent accidentally connecting the wrong lines together. With the help of knots and loops on the connectors, it is impossible to set up the kite in a wrong way. 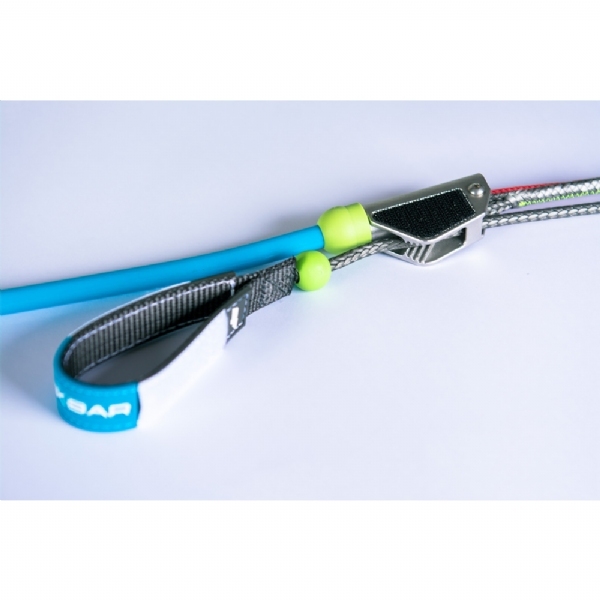 Safety Leash - The safety leash has a push away release system positioned at the end of the leash which is attached to the harness. 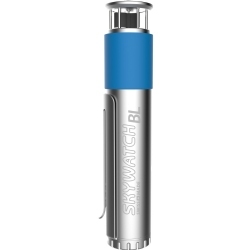 This ensures 100% safety and complete release of the kite at any time.